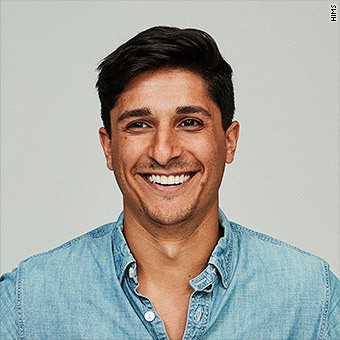 For nearly a decade, 26-year-old entrepreneur Zachariah Reitano had only talked to one person about his erectile dysfunction: his doctor, who also happened to be his father. But over the past seven months, Reitano has told business partners, his girlfriend of four years, investors, and now the world. 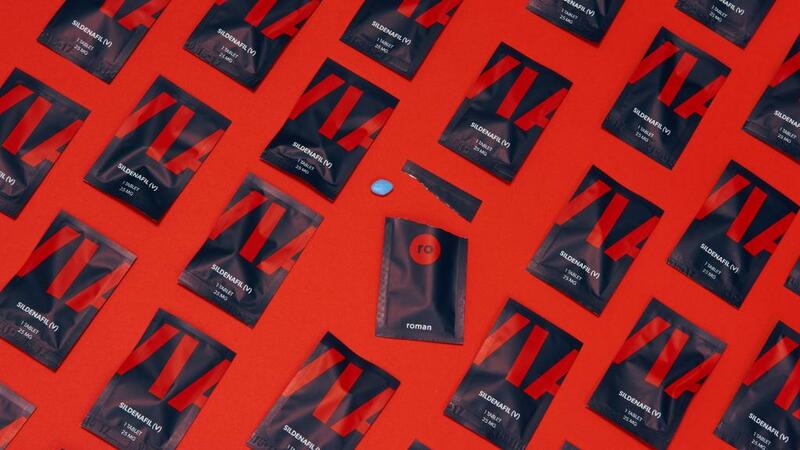 He's even created a business, called Roman, to help men discretely seek treatment. The startup connects them with doctors online who can diagnose ailments and write prescriptions, and Roman sends medication to their doorsteps. The startup has received $3.1 million in venture capital. The funding news came the same week as another major investment in men's health: hims, which prescribes and sells men's hair loss prevention medications, received $7 million. Erectile dysfunction and hair loss are not topics men typically feel comfortable discussing. But entrepreneurs see them as business opportunities and hope to eliminate the stigma associated with the conditions along the way. Reitano knows first hand the challenges of having a health issue tied to how many view masculinity. "[The ability to achieve an erection] is associated with being a real man,"said Reitano. But erectile dysfunction is often a warning sign to serious health issues such as heart disease, high cholesterol and diabetes. In Reitano's case, it was related to a heart condition. According to Doron Stember, an assistant professor of urology at Icahn School of Medicine at Mount Sinai in New York, patients often don't seek treatment for years due to the stigma. Erectile dysfunction affects as many as 30 million American men, according to the James Buchanan Brady Urological Institute at Johns Hopkins University. But experts and researchers report only a small percentage (about 25%) seek treatment. "Many patients don't seek care because they're embarrassed or don't know where to go," Stember said. "Some patients have been told it's a problem in their head so they suffer but don't follow up for years." Counterfeit medication is also a big problem, with some online retailers peddling cheap, fake pills which may be filled with toxic chemicals. The condition is traditionally associated with older men, but Reitano experienced it for the first time at age 17. About 26% of those who seek treatment for the first time are under the age of 40. To ask a doctor's opinion on Roman, users answer questions about their medical history and sexual health, upload a photo of themselves to verify identity, scan a picture of an ID such as a driver's license, and list medication preferences. A licensed physician reviews the information and can chat with a patient through the site. A doctor can ultimately prescribe medication, such as Viagra or Cialis. The process costs $15, plus the cost of the medicine. 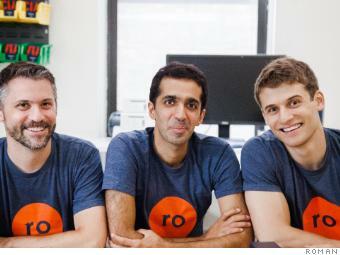 Roman cofounder (left to right): Rob Schutz, Saman Rahmanian, who previously cofounded office services startup Managed by Q, and Zachariah Reitano. It's available in New York, California, Florida and Pennsylvania. Roman ships the medication directly to customers in discrete packaging. Prescriptions can also be filled at a pharmacy. Telehealth services are increasingly popular, offering up digital connections to licensed professionals that consumers can take advantage of in the comfort of their homes. But some warn that not all telehealth companies provide the same level of care. "Telehealth can increase access to excellent sexual health care for men who have emotional or geographic barriers keeping them out of the office," Stember said. "But medications have real risks, and some patients have specific conditions that should be considered as part of treatment decisions. ... Patients should only use telehealth platforms that can provide the standard of individualized care they'd expect in specialists' offices." Its investors include Reddit cofounder Alexis Ohanian, VC firm General Catalyst and publisher Forbes. (Along with sportswear startup Outdoor Voices, Roman is one of Forbes' first two startup investments). Similarly, Andrew Dudum, founder of hims, the hair loss prevention startup, wants to talk more about men's health. "We hope to enable a conversation that's currently closeted," the company's site states. "Men aren't supposed to care for themselves. We call bull----." Hims launched last week with investment from Forerunner Ventures, Thrive Capital and shaving products startup Harry's. Users of hims complete a free online questionnaire. Doctors then suggest a treatment plan and possible prescription. Hims' medical team is available for questions before and after products are prescribed. While hair loss is not something men can control, products can slow the process: Hims sells hair loss pills, shampoos, supplements and other products. For Dudum, like Reitano, hims' mission is personal. "Ever since the age of 10, I've been terrified of losing my hair," said Dudum. His mother's father became bald at age of 30. He's not alone in his fear: "I've watched [friends] really struggle with it." The platform plans to expand into skincare and sexual wellness, including erectile dysfunction treatment. Roman and hims join the growing list of startups taking on stigmatized topics. For example, myLABBox sells at-home STD tests, while Addicaid's app helps addicts log and track their recovery process.